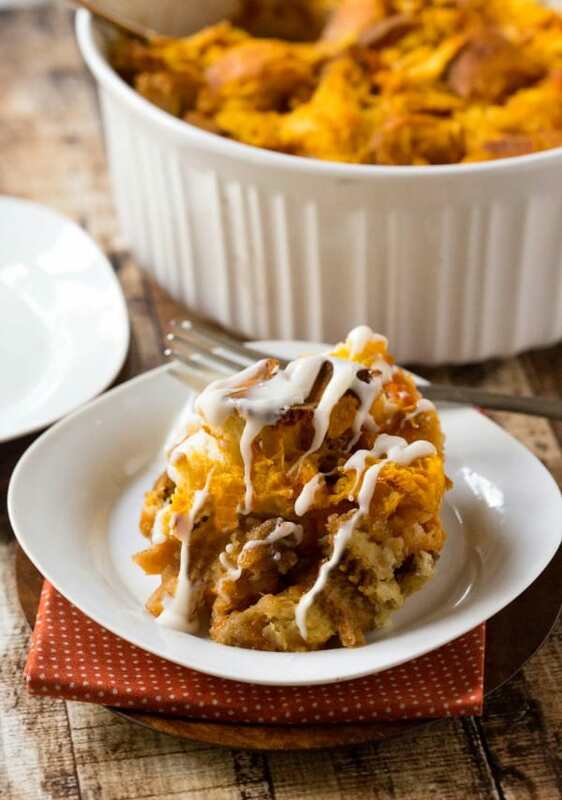 I love overnight French toast casseroles, and this Overnight Pumpkin Cinnamon Roll French Toast Casserole is perfect for fall. It has a gooey cinnamon roll-like filling in the middle of the pumpkin French toast. It’s all topped with a cream cheese icing. So, it makes a decadent breakfast or a yummy dessert. Place half of the bread cubes in the baking pan. For the filling, stir together egg whites, sugars, and cinnamon in a medium bowl until well-combined. Pour filling evenly over bread cubes. Top filling with other half bread cubes. For the egg mixture, whisk together eggs, pumpkin, milk, and vanilla extract in the same bowl you used for the filling. 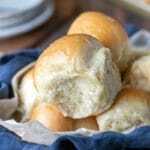 Pour egg mixture over bread cubes, smooshing bread cubes into mixture as needed. When you’re ready to bake the casserole, preheat oven to 350 F.
Bake casserole for 30-35 minutes, or until lightly browned. 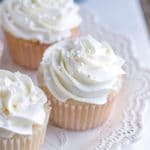 To make the icing, whisk together cream cheese, powdered sugar, milk, and vanilla, adding milk as necessary to make desired consistency. 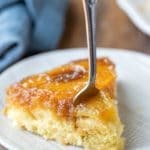 To serve, cut into pieces, and drizzle icing over warm casserole. 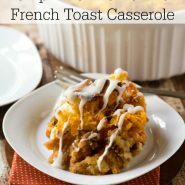 Has anyone tried baking this in a crockpot overnight? I haven’t, but maybe someone else will be able to help! When do you add the pumpkin?? Thanks! The recipe is in the box about halfway down the page. Please let me know if you don’t see it.